Mad Science is the perfect part-part-time job! If you've secretly dreamed of being a Mad Scientist, SchoolHouse Chess, and Brixology instructor, here's your chance. Position: Mad Science and/or SchoolHouse Chess and/or Brixology After School Program Instructors. This position is for an After School Program instructor during the school year from mid-October 2018 to mid-June 2019 (renewable annually for proven candidates). Additional opportunities for P.A. Day, Christmas and March Break camp work (7:45 am - 5:00 pm) may also be available. All Mad Science of Windsor & Chatham-Kent employees are required to begin their employment by teaching the 6-week After School Program; we do not hire candidates exclusively for camp work. Successful candidates may be offered a contract renewal for the subsequent 2019-2020 school year. Application Deadline: December 31, 2018 at 5:00 pm. Use the portal link at the bottom of this page. Group Interviews: to be arranged based on candidates' availability. Orientation for Successful Candidates: To be determined (may be arranged at an alternate time, if necessary). Live Class Observation: You must attend your choice of one (1) class to be determined (approximately 2:30 pm - 5:00 pm, variable). First Day of Classes: (each instructor's actual class dates may vary based on instructor availability). IMPORTANT~ Although our business office and Mad Lab are now located at 122 Fox Street in Cottam, Instructors only need to attend the office once a week to pick up their kits and supplies on Friday during the day. The After School Program is taught at over 80 elementary schools in Windsor, Essex and Kent Counties. We will do our best to assign you to schools close to your home or school. 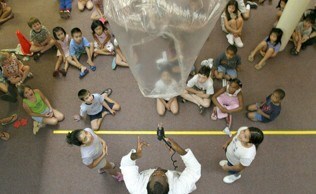 Mad Science offers great in-class teaching experience. However, due to the schedule and demands of the Faculty of Education, we are unable to hire students during their Teachers' College training (trust us...we've tried and the schedules just don't work). Once you're done, however, be sure to send us an application! We'd love to talk to you! Please note: Mad Science of Windsor thanks all applicants for their interest. However, only those applicants that meet our prerequisites will be contacted for an interview. Read this posting to determine if Mad Science is the perfect part-time job for you! Follow the link at the bottom to the on-line application. Mad Science, SchoolHouse Chess, and Brixology presenters deliver fun after school science and chess programs in elementary schools. These positions require a high-energy personality, access to a reliable car and the availability to work a minimum of two weekday afternoons and attend a kit exchange in our office on Friday. Experience working with groups of kids, in a paid or volunteer capacity, is an absolute must! Have fun, educate and make a difference! 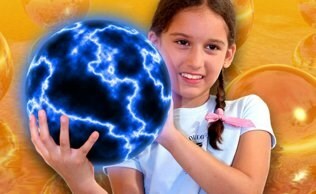 Mad Science is the world’s leading fun science provider. We are an educational entertainment company focused on providing science and chess enrichment for school age (Grades 1-6) children. We are the local franchise of a Canadian company based in Montreal with over 160 locations in 25 countries around the world. After School Programs are conducted at elementary schools on weekday afternoons after school from October to early June. The Mad Science/SchoolHouse Chess/Brixology After School Program Instructor position is very part-time, about 4½ - 8 hours per week for each six-week session. We run five sessions every school year. This is the perfect part-time job for students, retired teachers or others who need an afternoon job with a flexible schedule. As a Mad Science Instructor, you will be responsible for facilitating a one-hour after school science program in a fun and exciting yet educational manner using our curriculum. Each class is a very high-energy, part entertainment, part education and hands-on experience for the children. SchoolHouse Chess instructors present a six-week, high energy program that makes learning chess fun and engaging. A background in theatre or other performing arts greatly increases a candidate's connection with the material and his or her students. We follow a set curriculum that increases a student's learning with each successive class. We cover exciting science topics that are spectacular and have a lot of hands-on potential! Class enrollment is capped at 25 students. You would meet each of your classes for one hour per week over six weeks. All of our programs are located on-campus at various elementary schools in Essex and Kent Counties. As an Instructor, you will be assigned 2 classes per week in your first six-week session. If you have a ton of exactly the right kind of experience or are incredibly gifted in science/chess AND classroom management, you may be assigned more. Each class will take approximately 1¾ hours to complete as you are required to be on site ¼ hour before your class begins and it takes about ½ hour to make sure that the children are dismissed safely to their parents and to clean up. As a Mad Science team member, you will be part of a professional group that gets kids EXCITED about science and chess. If you are considering a career in education, Mad Science will provide you with a great deal of relevant experience and we are more than happy to provide glowing letters of reference for our best Instructors. And if that wasn’t enough, we will pay you to have fun while sparking imaginative learning in our gaggle of Junior Mad Scientists that may well be the researchers, surgeons, astronauts and Nobel-prize winners of the future! The After School Program Instructor position with Mad Science of Windsor is a very part time job. We pay a flat rate per program that starts at $25.00 per one-hour class for your first six-week session. With set up, student dismissal and clean up added to the one-hour class, you are working a total of about 1¾ hours. Summer camp is paid at a rate of $14.00 per hour (subject to changes in Ontario minimum wage). Travel pay may be available depending on camp location. After School Program classes are held on-campus at various elementary schools in the Essex and Kent County areas. Instructors are assigned to a minimum of 2 classes at varying locations. You must be willing to travel to your assigned schools. Mileage reimbursement may be available. To become an After School Program Instructor you must complete our orientation and training program. You will be required to attend a two-hour orientation session (to be scheduled at an agreeable time) as well as participate in our training program, usually held on a weekend. You will also be required to observe a one-hour After School Program class (time/location TBA). This mandatory training will give you the basics that you will need to translate your experience and skills into becoming a "Mad Scientist" or "SchoolHouse Chess Instructor". At least 18 years or older (for background check). Previous experience instructing and/or working with groups of elementary school-age children. Having children of your own does not qualify you. Fun-loving, outgoing, upbeat, high-energy, child-friendly personality. Availability to work between 2:00 p.m. - 5:00 p.m. on a minimum of two weekday afternoons (Monday to Thursday). Able to attend our mandatory kit exchange in Cottam on Fridays for one hour sometime between 9 am and 5 pm. Have regular access to a reliable car. Have a valid driver’s license (minimum Class G2) and proof of current automobile insurance. Agree to travel to elementary schools in Essex and Kent Counties. Willingness to sign our Confidentiality and Non-Competition Agreement. Availability to attend scheduled observation, orientation and training sessions. Able to lift the weight of a standard kit - approximately 10 - 20 lbs on average (weights vary). Able to pass a police record check. Able to work both independently and in a group setting. Does this sound like the perfect part-time job for you? If so, click on the link below to complete and submit our on-line application form. The more fields you are able to complete fully, the more we will learn about you! In addition to the questions on the form, we would like you to provide responses to the following questions. You can use the space provided in the last box of the form to do so. We are looking for people that are seeking part-time employment. Tell us why a part-time position suits your current situation. Why do you think that you would be a good Mad Scientist, SchoolHouse Chess, or Brixology Instructor? Thank you for your interest in employment opportunities with Mad Science of Windsor. We will be in touch with you should we wish to invite you to an interview.